Eight weeks ago I landed in London. I was pleasantly surprised to see the sun high in the sky, as I had been preparing myself (after strong advice from some English friends) for the worst. I arrived with my backpack, 'Monty,' a very small amount of luggage (mainly summer gear, far more suited to the three month trip I'd just taken backpacking through Europe) and the contact details of a girl I'd met many years ago. No job. No place to live. No family. No friends. No warm clothes. I had landed in one of the fashion capitals of the world, and after taking a year off after completing my Bachelor of Design in Fashion and Textiles in Sydney, I was desperate to get involved in London’s fashion scene. Not only was I about to dive back in, but I was landing in a City that is home to many of the designers I had admired when becoming interested in the sustainable fashion movement. 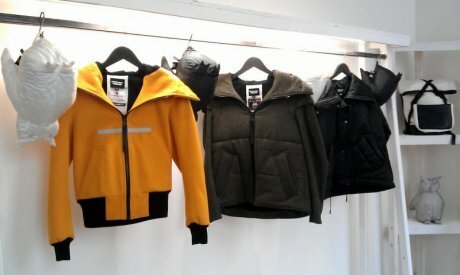 Three of my favourites, “upcyclers,” Junky Styling, From Somewhere and Christopher Raeburn, who take advantage of the abundance of second hand clothing and end of roll fabrics available and innovatively transform them into exciting new pieces, continue to inspire. I was excited to be in a city that embraced Estethica – an amazing platform, now in its sixth year, which provides an opportunity for Eco-aware designers to launch their concepts and collections at London Fashion Week: a city that is listening to the wise words of great writers and academics like Sandy Black and Kate Fletcher, who are pivotal in encouraging and educating people to understand the significance of this movement back to slow, environmental and ethically considerate fashion. 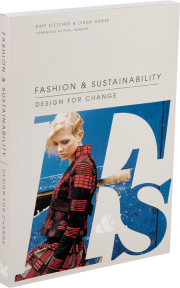 It was the combination of all these projects that had drawn me to London and I was not disappointed - it seemed as though the city was at the forefront of the movement for a more sustainable future for fashion. 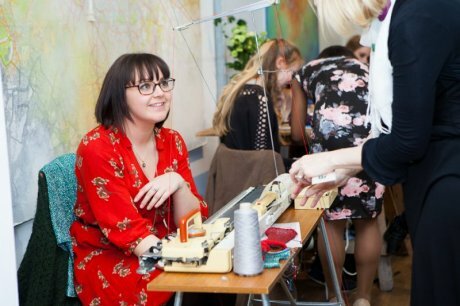 Since arriving I have learned that Londoners are interested in the effects that fast fashion has on the environment and our communities, keen to do what they can to make a change to the culture that surrounds fast fashion, and excited to get involved in a movement that will make a difference. An example of one such project is Jenny, a fellow fashion designer who I met recently, who, in exchange for a nice meal, a glass of wine, and some interesting chit chat, shares her amazing knitting skills with a group of women in her local area – encouraging skills to be learned and developed in the community. Big or small, Londoners are doing their bit. Jenny’s project is not on its own - amazing ideas and platforms exist throughout London, each unique and interesting in its own way, but all with a common goal: to work together to create a future for fashion that is more considered, can be sustained in the long term, and is less detrimental to our home - our planet. I was lucky enough to become involved in one of the most exciting projects of them all - style sharing site The Good Wardrobe. London is the perfect place for a project like this to blossom and grow, and I am happy to be a part of it. So I am very pleased to introduce myself. I am Emily, a newbie to London, a charity shop addict, and a lover of tea. I look forward to mingling with you on this beautiful new site. ****** I love the style-sharing community I have become a part of here in London. What do you love about London's fashion scene?